Caloundra Airport’s Helimods has designed and manufactured a new light weight patient stretcher loading system allowing EMS aircrews to more easily and efficiently load patients onboard helicopters. 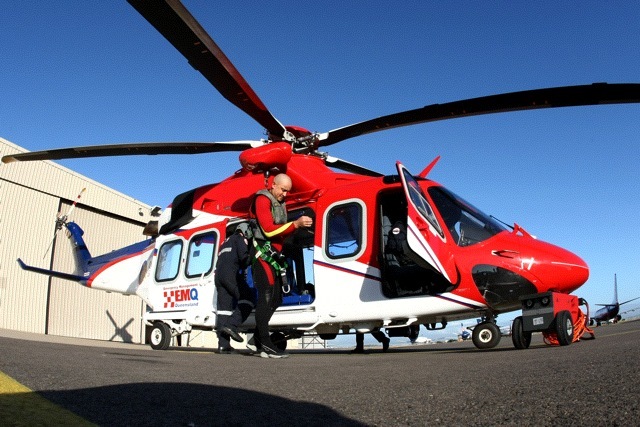 The MultiDeck stretcher loading system, manufactured using composite materials and alloys, was designed to meet the joint safety requirements of Emergency Management Queensland (EMQ) and Ambulance Service of NSW for use on their AW139 helicopters. “We completed a detailed international study of the existing stretcher systems available to install into our new AW139 helicopters, and decided that the locally produced option would best suit our specialised requirements and provide greater flexibility,” said Tony Hodgkinson, EMQ’s chief engineer. Most of the MultiDeck’s components were manufactured by suppliers in south east Queensland, with HeliMods completing final assembly at its Caloundra facilities. HeliMods says it has had a good deal of international interest in the Multideck and is currently in discussions with international operators for export sales.